I made a couple of mosaics, like everyone else, right, of my finished quilts for 2012. I just realized that I missed 2! 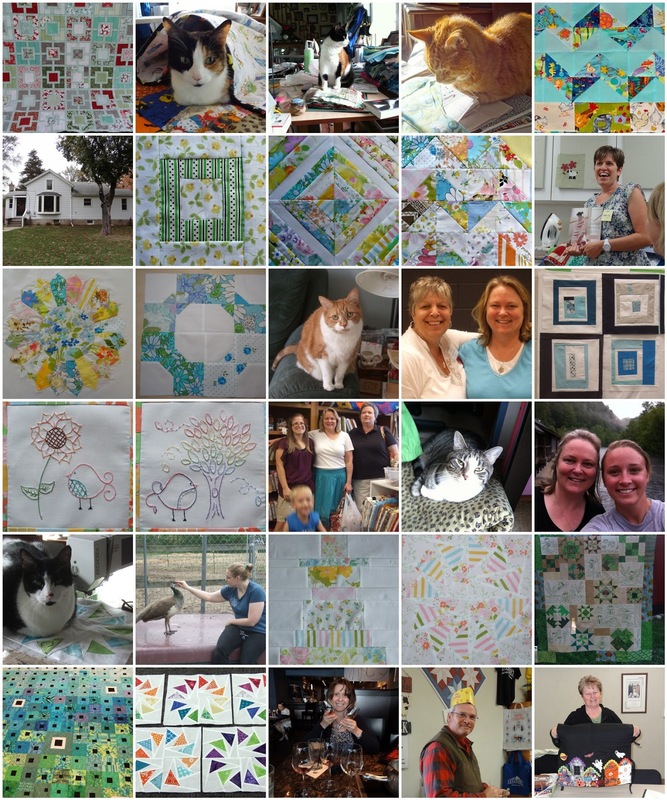 Here is the mosaic I made of my finished projects. I have to say I am pretty pleased with this. 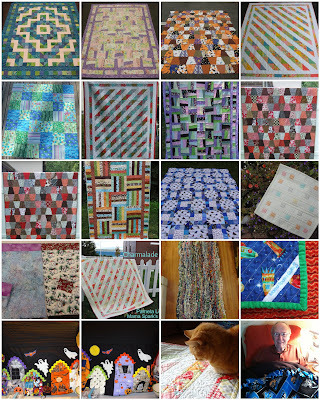 The third photo in shows just one quilt but I actually made 3 of these, one for each of my kids. The two tumblers in the red and grays were for Yolanda's nepehews. 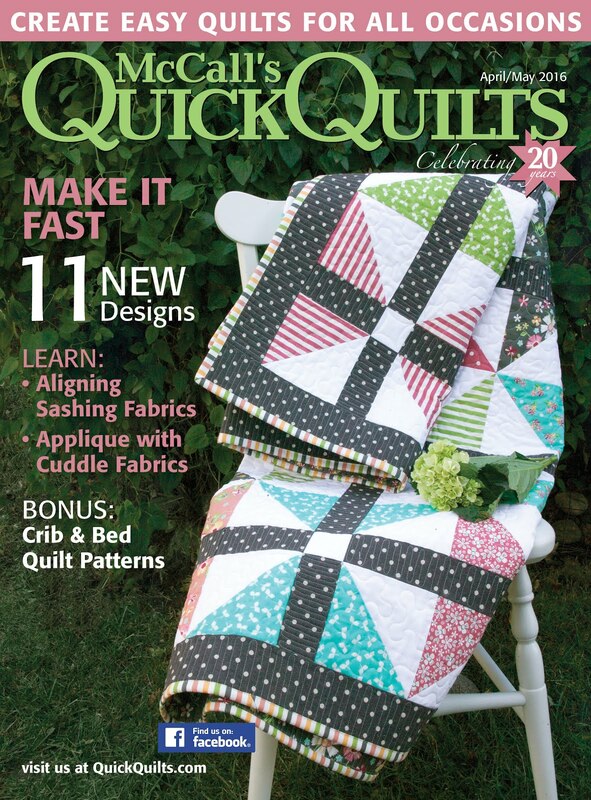 Yolanda passed away and I was so happy to have been part of helping her get some of her quilts finished. I did several swaps and block exchanges. I realized my dad needs my help so began working on that. I feel like I am getting things under control with him and my sisters. This was the most difficult thing of the whole year. I miss him every single day! I am already planning my goals for 2013. I'll be back with those soon. In the mean time, I wish you all a happy, healthy and joyous New Year! We need to measure to see if it will fit. To make this Modern Sewing Desk! So this was some of my recent fun! Oh and cleaning out my clothes closet! And lots of other cleaning too. Plus 2 Zumbathons, but I can't actually show you that. Our Christmas season was B-U-S-Y! Just like everyone else I think. We drove to GR to celebrate with my dad and sister on the 23rd. That made for a long day. Then on Christmas eve off to Jackson (an hour away) to celebrate with the entire Lincoln clan. Always an adventure. and of course food and this time was no exception. One of my favorite parts of the day was watching my hubby read to 2 of our great nieces. I had an interesting conversation with my BIL. He is the CEO of a fortune 500 company and recently was at a meeting and guess who walked in? George W. Bush!! He got to spend an evening, well he and I think he said 12 other CEO's, with the president! He said it was a very interesting evening and that he genuinely enjoyed president Bush. I won't bore you with the details, but I enjoyed hearing all about it. There was also other frivolity between my niece, daughter and SIL. on the way to where we were. She was ok but her car had some damage. They narrowly escaped a second hit with a semi truck. Thankfully both she and her boyfriend were not injured, just shaken up! Mama's arms came in handy for comforting her though. Nice to know I've still got it! We arrived home and put out the finishing touches before falling, exhausted, into bed. I was so excited to share my gifts with you. My hubby was so generous this year. I got a ton of thread from Connecting Threads. and same extra long staple Egyptian cotton. My DD1 and I happened to be online one night and she asked me what I wanted for Christmas. She got me the darker colored Pearl Bracelets by Lizzy House! 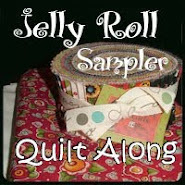 Accuquilt had their dies an additional 15% off so I ordered the airplane one. The light was ordered to round out an Amazon order. Then...WEE I got all these books that were on my wish list! There was a HUGE surprise though, a Blue Ray player! Although I don't have a TV in my sewing room to use it with just yet. Hmmm do you think that could be next? I almost forgot, I also got a new lamp. I have this exact same lamp already but it flickers constantly and it drives me and hubby crazy! So we decided to replace it. I think I was one lucky girl this Christmas don't you? We went to IKEA tonight to look at storage for my sewing room. I think I found what I want to use but we need to measure the space to make sure it will fit. OMG I am so excited I can hardly stand it!!! I still have some clearing out to do in the room but I am getting so much closer! Now, enquiring minds want to know? I want to take a minute to wish all my friends and family a very Merry Christmas! He was VERY good to me! More later but for now enjoy your family and remember the reason for the season! 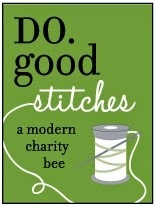 My DD1 is involved in a campaign to raise money for a non profit organization called Wolf Haven. They are going to adopt the entire pack for a month, maybe more if they can raise enough money. I am going to use some wolf panels and some companion wolf fabric to make a quilt. It would be a throw sized quilt. leave a comment with how much you are willing to bid. The starting bid is $40. 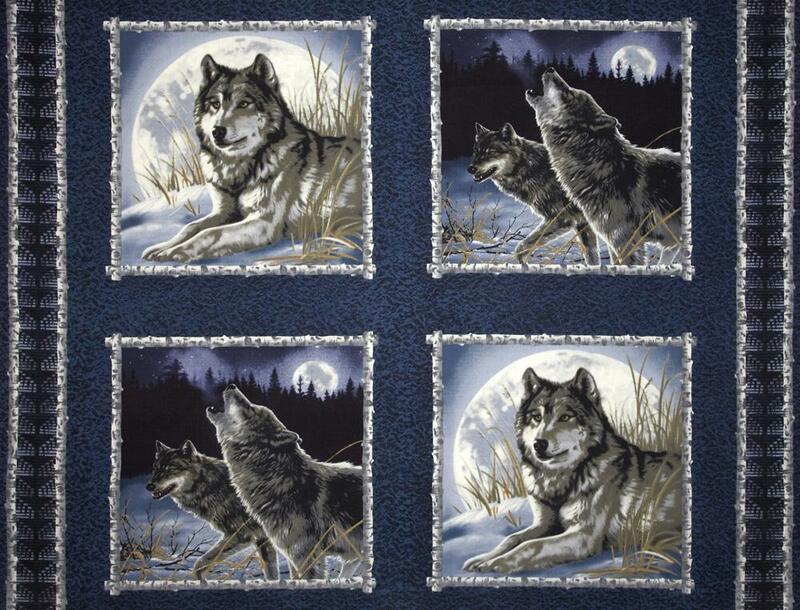 Please see if you can help out the wolf conservation society. I will most likely use some Kona solids to pull it all together. So if you are interested in saving some wolves, maybe this is something you can do! Just taking a moment to let you all know I am still here. I am waiting for my DD2 to arrive home tonight. I need to drive to the airport and pick her up. as she texted me that she is starving! I can't wait to see her and spend some time together. Today was my last day of work until Jan, so it was SUPER busy! I went in super early so I could get all my work done and had to leave early for my annual mamogram. Oh joy! I am fighting off a horrific cold right now too so, um, yeah, that's fun too. I do have some things to share but I have not been sewing. 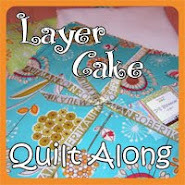 We had a little quilter's get together for Christmas over at Pauline's house. There was a gift exchange and lots of great food too. I was the last person to choose so I could steal or take the last gift. I chose the last gift and boy was I glad that I did! It was the gift that Pauline brought and it was awesome! 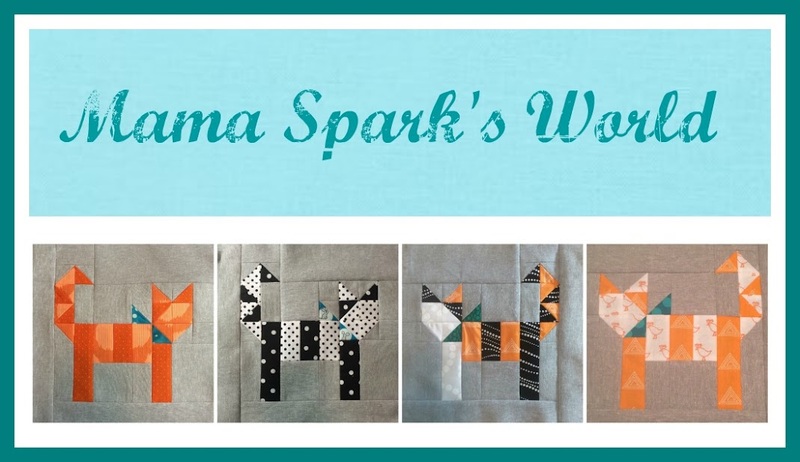 Two great patterns and the cutest hand embroidered tea towel! Thanks, Pauline, for hosting and for the amazing present! I received some more gifties in the mail last week also but have not had time to take any photos yt. Soon though, soon. Have a great evening and happy sewing! As a quilter my first response to a tragedy is to make a quilt. I think a lot of us feel like that. remind the families of the horrific events that transpired yesterday. I think it would comfort. and for the families of those killed. 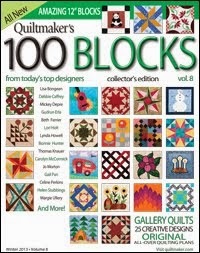 It is going to take over 700 quilts! 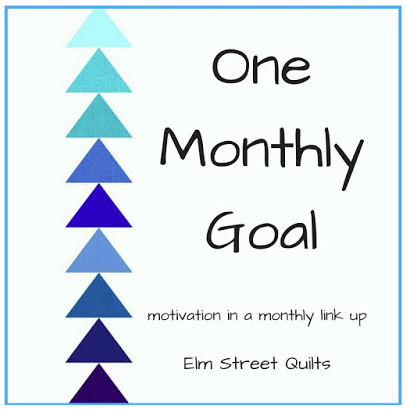 If you are interested or want more information, you can get in touch with Julie on her blog. I don't know the time frame as of yet but will keep you posted as I have more information. Let's pull together and help out. In your sewing room, what kind of chair are you using when you sew? was wondering if anyone out there has any suggestions? What things should I be looking for? Have a wonderful day and I look forward to hearing about your chairs!! Some of you may know that I hosted a swap recently. Everyone had to choose a Tula Pink fabric. There were 28 people playing along. 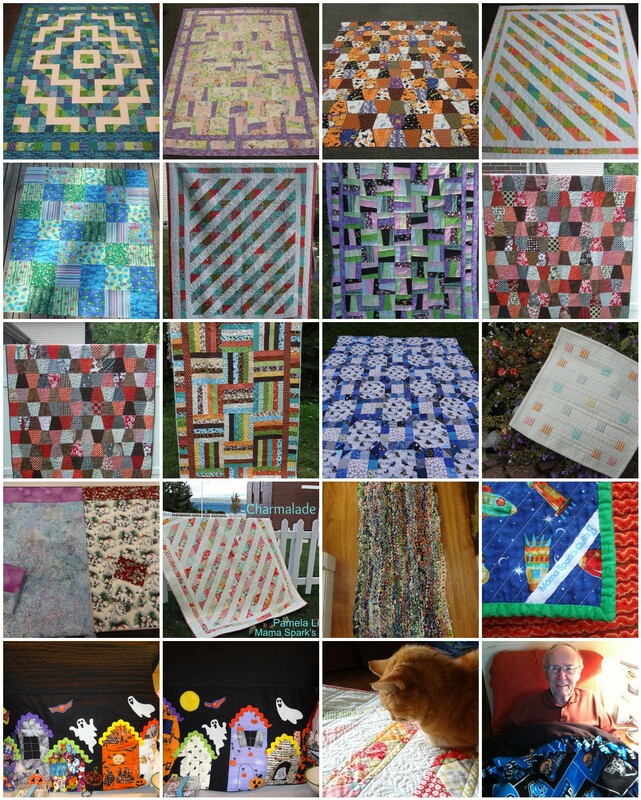 Everyone bought 2 yards of a TP fabric and cut it into 28 ten inch squares and sent them to me. 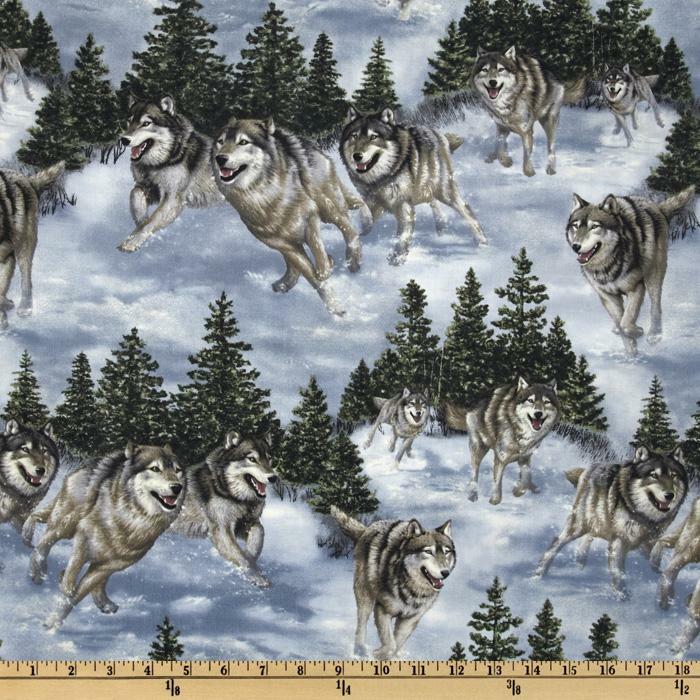 and sent them back in the SASE they sent me with their fabric. Mostly it was a lot of fun. We did have one person that was sending 5 peoples worth of squares and she sent them a month late. It all worked out in the end. So some were asking if there would be a round 2. I wasn't going to do it and then Salt Water came out. Hence, round 2 was born. According to TP, this is the closest we are going to get to a Neptune reprint. The colors are the same as in the Neptune line!! If you are interested, all the info can be found here. Specifically you need to go to the discussion thread that says "sign up here" and enter your info on the list in the post. So far we have 13 signed up so we have a little room if you are interested! International friends are welcome, we will Pay Pal invoice you for the shipping. had it shipped to me and I cut it up for her. She ordered a smidge more for me which was very generous! That way she only paid postage one way. 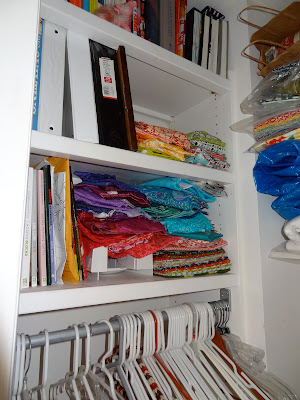 So if you love Tula Pink fabrics like we all do then sign up! so if you want to play along be sure to check out the photos from the first round and the list. All photos in the group to the left of this photo are for round 2. Again, if you are unsure you can ask me. C'mon, you know you want to play along! 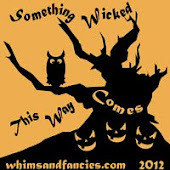 I don't have a ton to share at the moment but there are a few little goodies. 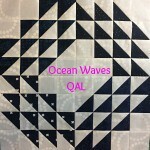 from one of the quilt groups I belong to. They are always so thankful to receive them. It feels good to help locally doesn't it? I had a very stressful day last Saturday. called him and he went to meet up with her. I don't know why he can't get it through his head that all she wants is money! He kept on giving her money and giving her money all with the expectation that when the lawsuit she is in was done she would pay it back. Well, I think we all know that is never going to happen. Well, all of us except for him!!! As it turned out she didn't show, but it was a stressful couple of hours waiting for this to all play out. I am at my wits end with my dad right now. meet with her because she has "papers" regarding the lawsuit. I told him I can print those papers off the internet. So when all was said and done, my sweet hubby asked me if I wanted to go out to lunch. We went to one of my favorite places, Chopstick House, for Chinese. Good food and good company helped me gain some perspective. Oh dad, what am I going to do with you?? I was recently contacted by Fons and Porter and asked to do a review of one of their books. 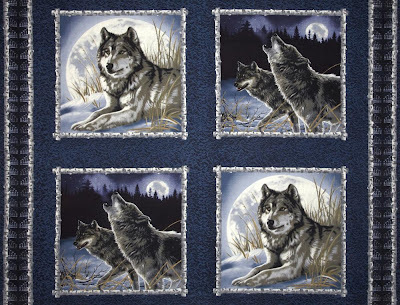 It is their Log Cabin Quilt eBook. You can download a copy for yourself right here. The book was very straight forward and easy to follow. 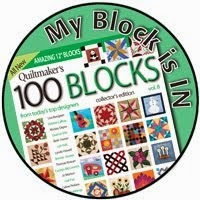 If you have never made a log cabin block this had all the basic information in it. I liked the "tips" that they added. There were some unique versions and settings that would be worth checking out if you already know how to make the basic block. Some of the visual effects from the setting choices were pretty cool. so I found that most interesting! the directions for that are there as well. I felt there was something for most people in this book. I would recommend it to others as a good resource. Now on to the winner of my giveaway. So Mamarock, if you will send me your address I will get this out in the mail to you! 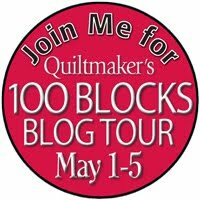 Also my friend, Crazy Quilt Girl is having a HUGE giveaway over on her blog. 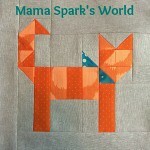 A $50 gift certificate to her online fabric shop!!! If you can't find something you like there you are not trying! Plus, she has the greatest customer service around. 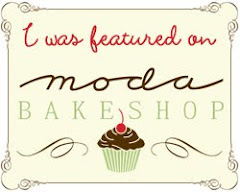 Go visit her blog, answer her questions and maybe you will be the winner!! Have a wonderful, stitchy day! 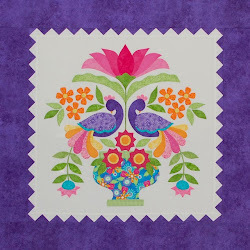 I recently organized a Tula Pink 10" square swap on Flickr. sent them to me along with a SASE. they will be off in the mail tomorrow. 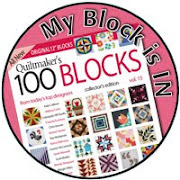 I brought them to quilting tonight and Pauline and Stacey helped me sort them all out and package them all up. I thought you might like a peek at what that looked like! Swaps can be good and bad at the same time. While most of the people were wonderful. until a month after they were supposed to be to me. I felt bad for everyone that got their squares to me on time. Pauline and Stacey helped me sort and then package up all the squares to send out tomorrow. Pauline and Cori will help me get them all to the post office tomorrow. Hopefully everyone that participated is excited to *finally* be getting their package!! Have a wonderful, stitchy day!! 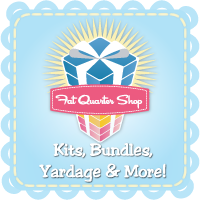 I had a FQ bundle of Little Apples I was looking to swap out for *something*. I was not sure what, but my new friend Jayme knew what. She had a FQ bundle of A Walk in the Woods. This is what she sent me. 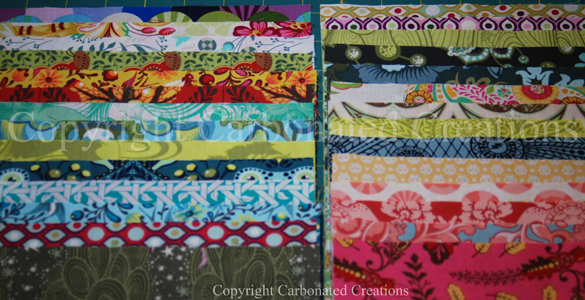 She added in 2 FQ from Vintage Modern too to make up the difference. I had to giggle when I opened my fortune cookie the other day and found this fortune! I guess making my sewing room successful is preordained! moved it to the new sewing room. I haven't even moved any of the bins from the basement yet and I was beat! I realize that I need some different things in this room to make it work for me. The dressers are staying for now. After the new year, I can do more. For now this is what I did. Some magazine binders, books and of course more fabric. It is just a temporary home for the fabric. I did load some more fabric and batting on these shelves, but they are not strong shelves so whatever ends up on them must be relatively light weight. I think my daughter had books there and they are not light weight, so maybe that will work. I still have to play. This is the bottom of the right side. Plastic project bins under the shelves and bagged up stuff on top. My sewing box did fit under the window but not sure it will stay there forever either. 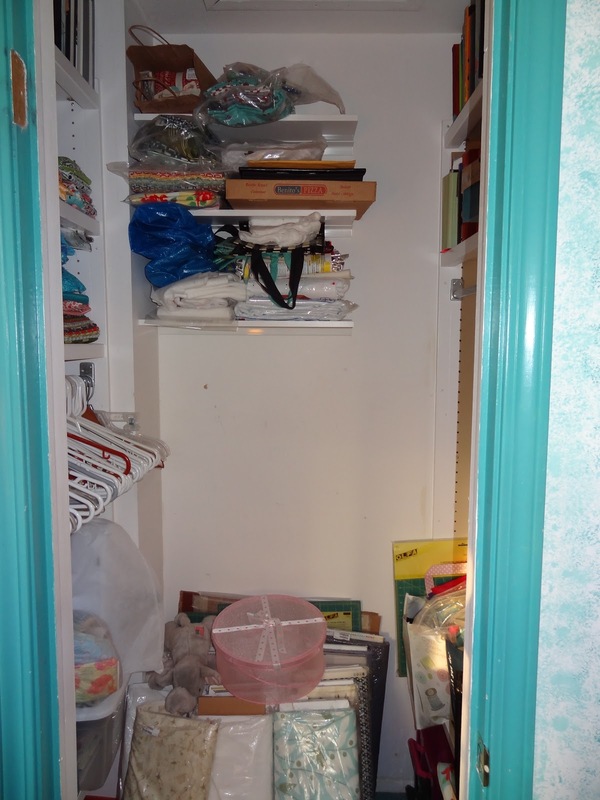 I know I still need to get the cabinet upstairs. The box on the couch is stuff going out for a swap this week. There are 2 current projects , on on the couch and one on the cabinet. I can't wait to move it all upstairs!!! I will show you more when I have more finished. I need to sort that whole Lowe's box and package up 28 swap packages to send out this week! Lab Christmas party is on Friday so I will have a busy week! 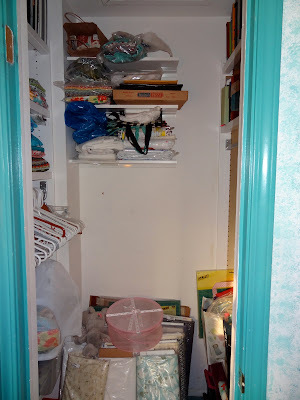 I am excited to show my WIP Sewing Room to you.